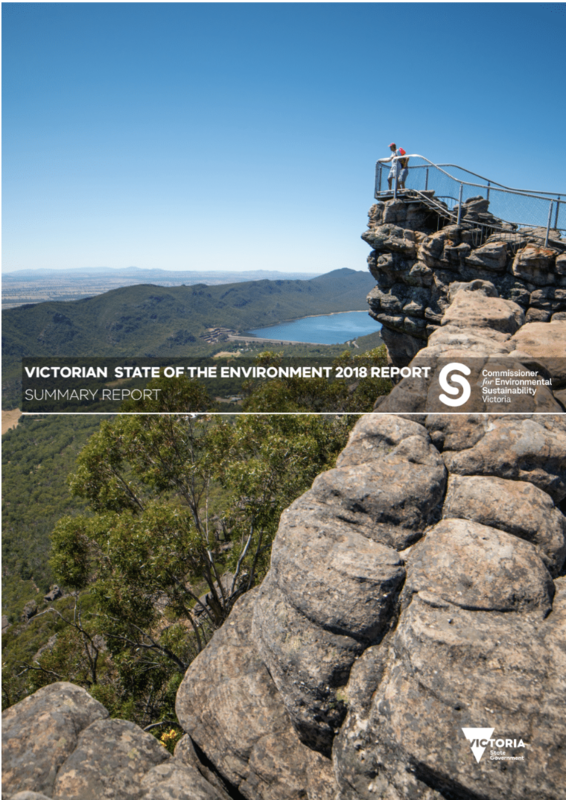 The five-yearly Victorian State of the Environment (SoE) 2018 report was publicly released on 19 March 2019. As well as providing an analysis of a diverse range of 170 environmental indicators, the 2018 SoE report includes a Future Focus section with a view to help focus government on key areas to support environmental improvements over the next decade. The recommendations aim to sharpen the focus of government on critical areas requiring action and are also informed by other significant state and national reports and include Victoria adopting the UN SDGs as the framework for future state of the environment reports. The SoE report also considers the influence of significant reports and research undertaken by other agencies including the Victorian Environmental Assessment Council, Victorian Auditor-General’s Office, Victorian Catchment Management Council, Ministerial Advisory Committee into the Independent Inquiry into EPA Victoria, the Finkel Review and the Independent Panel for Climate Change. “It is about working with our partners across the community, government and industry to continue to develop and deliver the strong scientific evidence base and policy coherence required for effective environmental protection and management in Victoria in the longer term” says Dr Sparkes. The Future Focus chapter prioritises recommendations that improve multiple environmental outcomes. For example, recommended actions to build the capacity of Victoria’s spatial information systems for environmental monitoring and management are designed to support collective improvements in the environmental outcomes for Victoria’s biodiversity, land, forests, air, marine & coasts and water, and enhance our ability to respond to fire and climate change impacts. This SoE report is designed to support business, government and the wider community to protect our natural capital. The 20 recommendations central to this report, aim to focus the effort and investment by government, and target those interventions that will improve multiple environmental outcomes for Victoria. “Everyone can play a role in protecting the environment,” says Commissioner for Environmental Sustainability Dr Gillian Sparkes. The Commissioner’s role is to provide independent and objective scientific reporting to inform policy-makers, scientists and the wider Victorian community on the state’s natural environment.